Breast milk, or liquid gold, is something all new moms are talking about or stress about. Thankfully there are many ideas on how to produce more breast milk for those that are struggling. 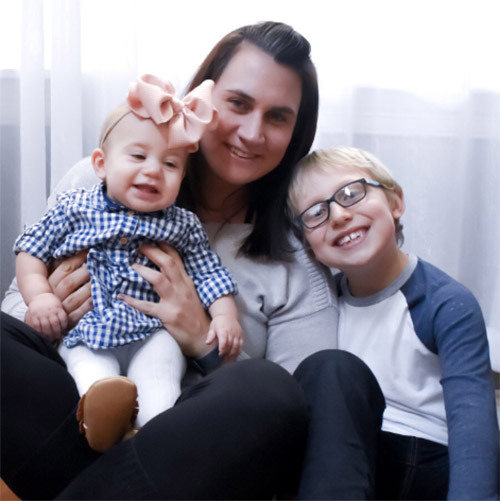 I have been very vocal about my breastfeeding struggle with both my son and more recently, my daughter. My son never got the hang of it and I ended up exclusively pumping for about a year with him. My daughter, on the other hand, got the hang of it at around 6 weeks when she finally perfected both the latch and the transfer of milk. She is now 13 weeks old and I pump and give her bottles reserving the actual breastfeeding time to just before bedtime. Breastfeeding my daughter. Pretty sure this session was a struggle for the both of us. Obviously. 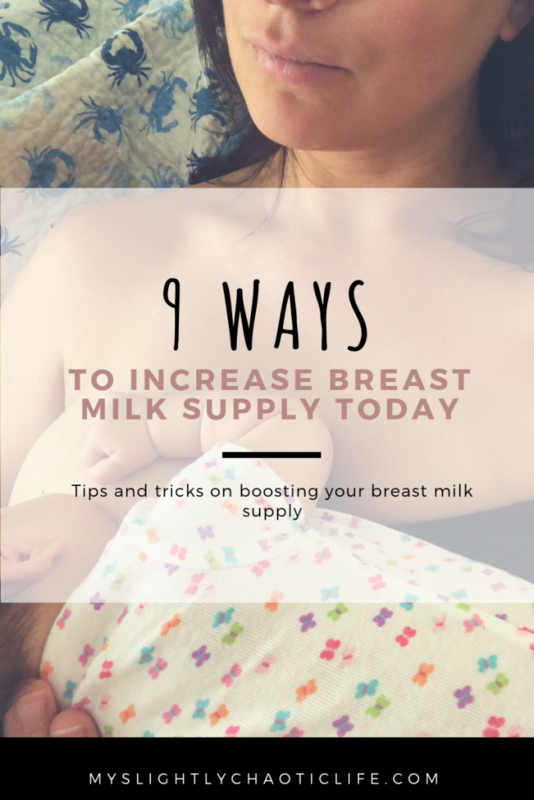 The best thing you can do to increase your breast milk is to feed your baby on demand. For the majority of women breast milk takes several days to come in. 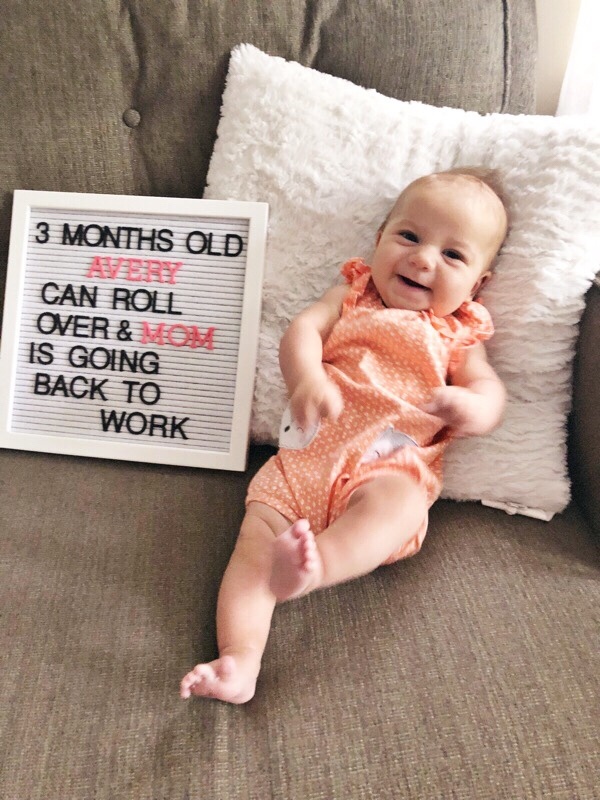 Mine personally came in 3 days after I delivered Avery. For some moms it can take up to a week to see their milk come in and then some it never does. 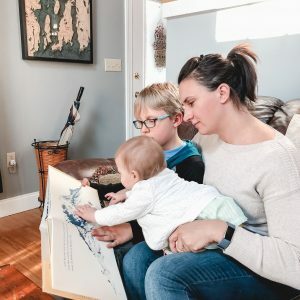 This can be so frustrating to new moms especially when you are overly emotional (I’ve been there!) and you feel like your starving your baby. I’m obsessed with oatmeal. I eat oatmeal pretty much every day for breakfast. I will admit I know that it’s not everyone’s favorite but if you like it add it to your diet daily. It has been said that oatmeal is a galactogenic food which is a substance that is known to produce more breast milk. If you don’t enjoy the mushy regular type of oatmeal then give the steel cut oats a try. I prefer the steel cut oats because they have more of a crunch then regular oatmeal. Add some fruit or make overnight oats to add a little bit more flavor to your morning meal. Picture of my cute baby. So proud that I helped make those leg rolls! Or just about anything coconut. When I thought Avery had a dairy allergy I eliminated all dairy from my diet which is way easier said then done. I traded my Greek yogurt for a coconut milk yogurt which was surprisingly delicious. I also started drinking coconut water because I finally found one that I really enjoyed. I noticed a substantial increase in my supply once I switched to all things coconut. In the end, it doesn’t hurt to try and for those mamas whose babies have a milk allergy give the coconut yogurt a try, you may find it tasty just like I did. Here is the coconut water I like on Amazon. Ideally when you pump or feed your baby you empty your breasts signaling your body to make more milk. This is the whole supply and demand part of breastfeeding. The more often your baby eats, you will produce more breast milk. Power pumping essentially does the same thing tricking your breasts into producing more milk. When you power pump you want to pump for 20 minutes, rest for 10, pump for another 10 minutes, rest for 10 and then finish with one more 10 minutes pumping session. I would only suggest doing this a couple times of week to prevent creating an oversupply. One pumping session in under 10 minutes. 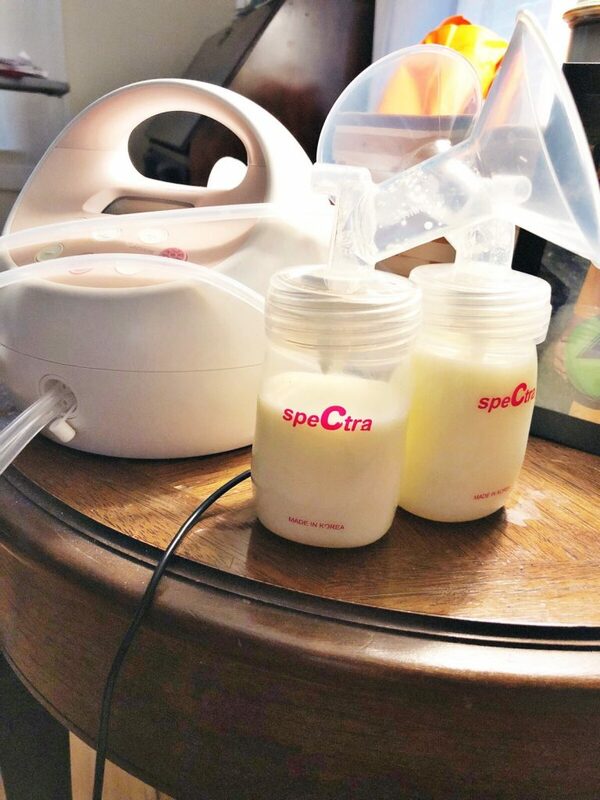 I love my Spectra pump and my milk supply! The yeast in beer is thought to help produce more breast milk and is why they also put brewers yeast in a lot of the lactation treats I talk about below. I know that after I have a beer I tend to get over full in the milk production department. If you want to enjoy a beer don’t be afraid to do so since it has been shown that alcohol does not get stored in your breast milk so no need to pump and dump! You want to keep every last bit of supply you can get! The ladies in an online mom group I’m apart of swear by this. I have yet to try it because I’m not a fan of ovaltine but if I start to struggle with my supply I will give it a go. Some say to mix it with hot chocolate mix and coffee or you could just mix it with milk like the directions say. Whatever sounds more appealing to you. If you try this out for yourself let me know your results! Check out Ovaltine on Amazon below! I’m serious. If you restrict calories your bound to see a drop in your supply. Breast feeding burns an enomormus amount of calories. I noticed that when I began to diet and exercise to lose the baby weight my supply dropped dramatically. This was because I wasn’t eating enough to cover how many calories I was burning by exercising and exclusively breast feeding. Not to mention I felt dizzy and exhausted from lack of calories. As soon as I upped my food intake, within reason, I felt much better and my milk supply came back up. Drink your water! It’s so important to stay hydrated on a daily basis but especially when you are breast feeding. Try to hit the goal of 8 8 oz. glasses of water a day if not more. I have seen all different brands of lactation treats that are available and claim to boost your milk supply. I personally haven’t tried any on the market so I ma unable to give you a good review on one. When I was breastfeeding my son I made oatmeal cookies consistently. We already know that oatmeal is a galactogenic food so shoveling some oatmeal cookies in will in turn up that milk supply. 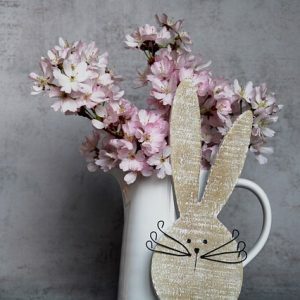 However, I found that by eating cookies full of chocolate chips and sugar was not good for losing weight and instead began to gain weight while breastfeeding. Here are the best lactation cookies that I have found. Click the image below to buy on Amazon or you can make your own by googling lactation cookie recipe. Anything with oats, brewers yeast and flax seed is good! I know how terrible it can feel to not be able to feed your baby and the incredible burden that is placed on new moms to breastfeed from the very beginning. 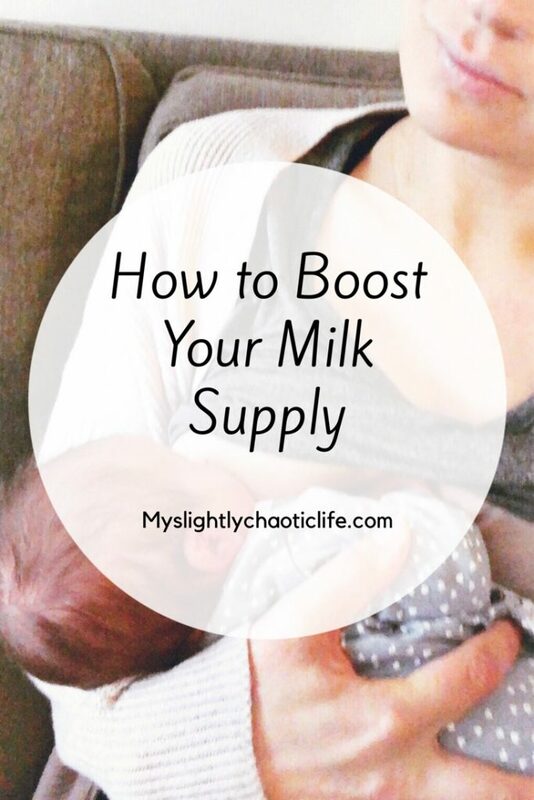 By implementing these ways to increase milk supply, you should be able to notice an increase in breast milk production within just a few days. If you are one of the many that don’t want to or don’t produce enough you shouldn’t feel guilty about that and remember a fed child is a happy child! I had no idea that beer boosted milk supply. I’ve tried the oatmeal and some of the others one the list and I can attest that they do work. 14 months and me and my little girl are still going strong! I had no idea that coconut water and ovaltine helped to increase milk production! This is a great list. I know many mom would find this list so helpful. Thanks for sharing! Excellent post for all the new moms out there. There are so many things to consider when you’re starting back to work after being at home fulltime with the wee one. I’m several years past the infant stage, but your baby is just adorable!! What a wonderful post. I know a number of women who have had trouble and been really stressed about breastfeeding and I will be sharing this info for sure. It’s always great if you can use tips that have found to be effective from those who have done it. BTW: your baby looks absolutely adorable! 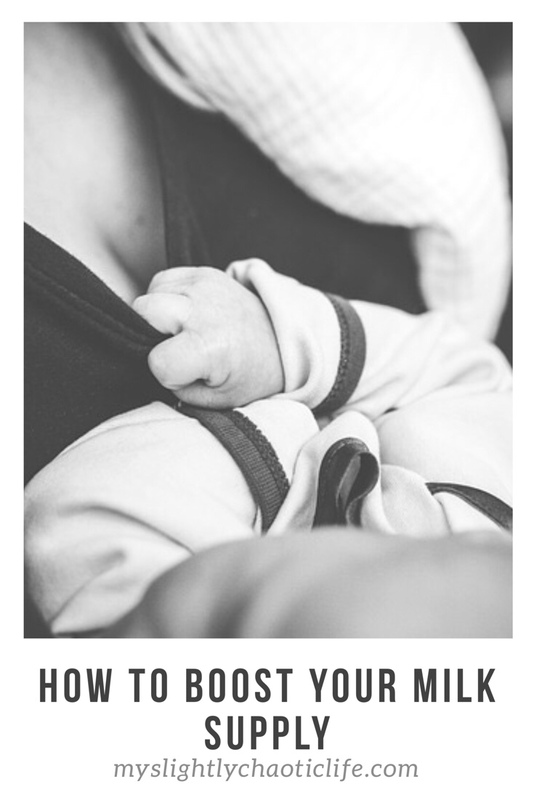 Such a great tips for all those breastfeeding moms and I am sure this will be a great help for them, thanks for sharing this with us! Great tips! Also eating a lot of fruits, vegetables and soup base food can help a lot when you are breastfeeding! 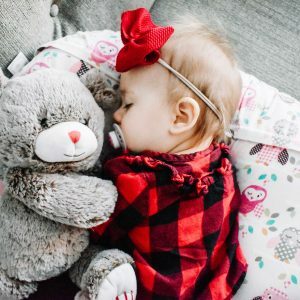 This certainly is a great post that will help a lot of new mothers out. You provided some really awesome tips indeed. I hate pumping. I really need to get on it, it I just despise it lol. I’ve done all of these, except the coconut water. I’m going to try that, just because it looks yummy. Going back to work while breastfeeding is definitely a challenge. Thanks for the tips!! This is a very useful tips for moms! Thank for sharing this information. This is awesome. Thank you for these super helpful tips. Breastfeeding can be so hard. Wow! that’s quite a lot of information – which will definitely help our moms and moms to be. It will be good to cascade your post for other people benefits too. Great share! These are such great tips mama! I definitely need to remember to hydrate more! 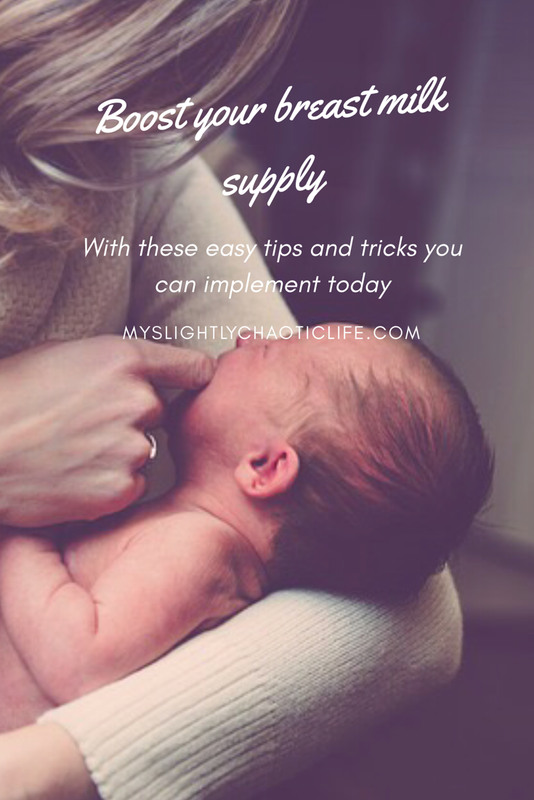 These are some really awesome tips on increasing your supply. Babies can be more demanding than our bodies are ready for.